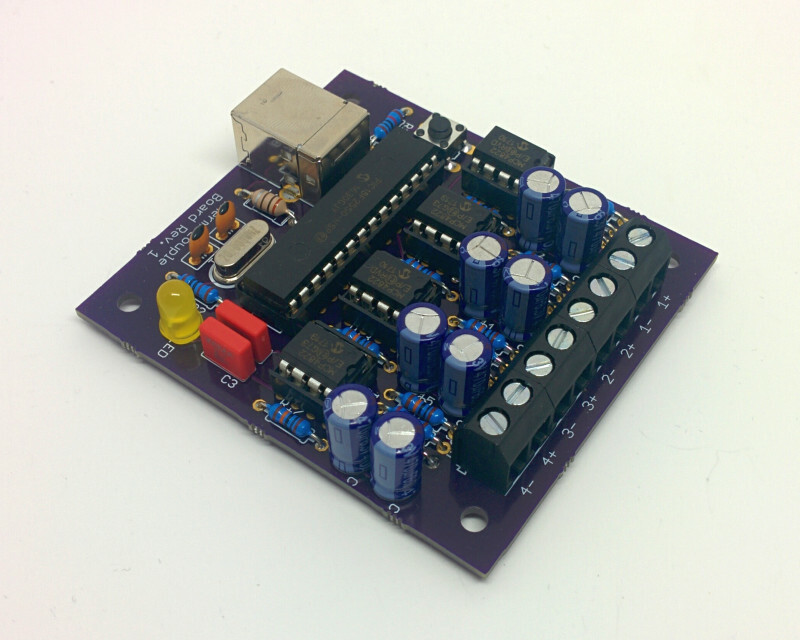 This board has four analog voltage outputs to drive gauges which are directly connected to thermocouples. The output voltage can be changed between around -4 and 48 mV with 4096 steps. 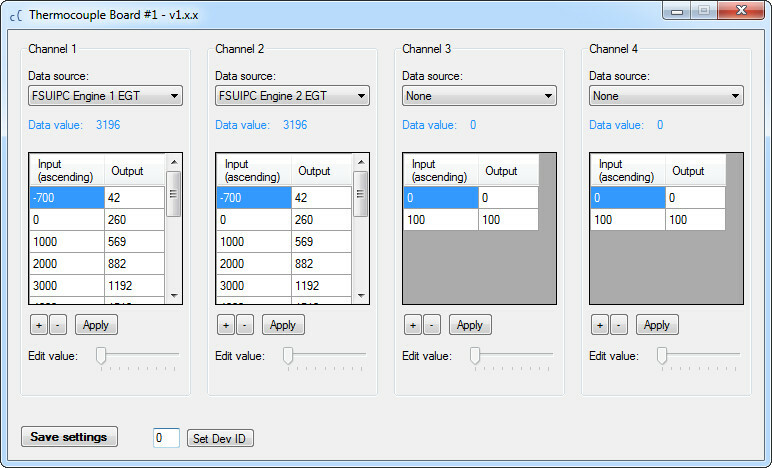 Simply select a data source in the software and connect it via a lookup table to the output. Thanks to the lookup table, even nonlinear characteristics of thermocouples can be calibrated. In case your desired data source isn't implemented yet, it can be added easily. Please contact us on this. The outputs are designed to emulate thermocouples and can only be loaded up to a few mA. Cockpit Connect currently supports SIOC (IOCP), ProSim (737/A320), JeeHell FMGS, Level-D 767 and FSUIPC. Ready to ship in about one week (will be produced after placing the order).